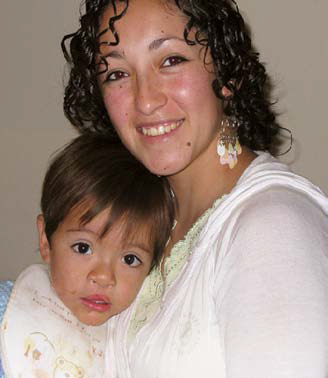 Susana went to great lengths to ensure that her son, Taiel, could have access to ongoing rehabilitative care. After seeing a poster for Fundación Gavina, Susana sought more information and took part in a screening interview. Susana and Taiel travelled from Salta, Argentina, over 300 kilometres away, to our project in Tucumán because Salta’s children’s hospital does not have cleft lip and palate (CLP) specialists. At Fundación Gavina, Susana witnessed the dedication and expertise of those involved in treating CLP. The family moved closer to the project and they received feeding and early stimulation assistance, as well as counselling. When he was 14 months old, Taiel underwent multiple surgeries on his lip and cleft at the Eva Perón Santiago del Estero Hospital. Parallel to his surgeries, Taiel also worked with a speech pathologist. Sensing Susana’s commitment to the cause, TFW hired her on a part-time basis to act as an outreach coordinator. She visits maternity wards and helps guide new mothers with feedings. Our team is studying the resources in Northern Argentina to determine the need for project expansion. Read more about our work in Argentina.